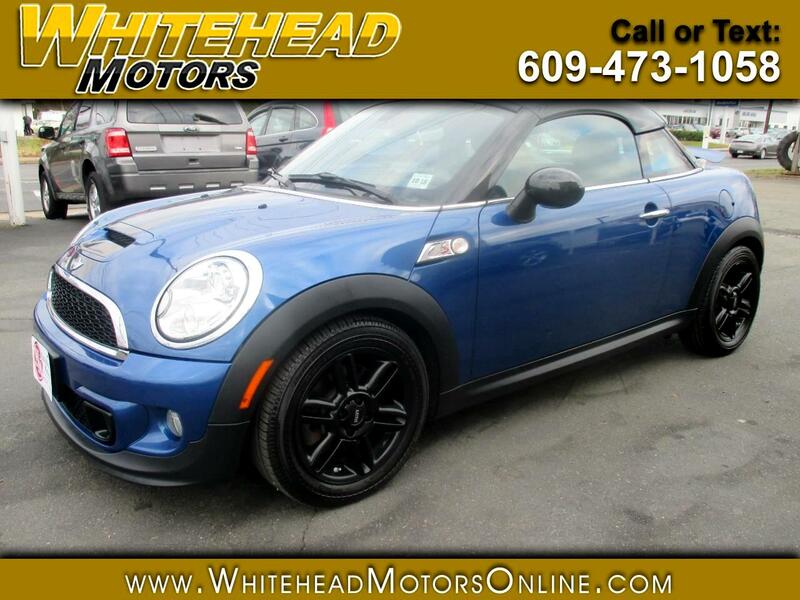 Discover the thrill of our One Owner, Accident Free 2013 Mini Cooper Coupe S dressed up in magnificent Lightning Blue Metallic. Powered by a Turbo Charged 1.6 Liter 4 Cylinder that packs a punch with a healthy 181hp. Paired with a responsive 6 Speed Automatic transmission and our energetic Sport mode, this Front Wheel Drive coupe provides an impressive 35mpg, and gets your blood pumping as it sprints from 0 to 60mph in an astonishing 6.5 seconds! One look at this spunky Coupe S with its fog lamps, hood scoop, boot to bonnet stripe, alloy wheels, twin tip exhaust and a rear spoiler that raises up when you reach 50mph, and you'll know you can let your free-spirit fly! Slip inside the surprisingly spacious interior and experience the premium materials that set Mini apart from the bland competition. This is a well-built car with a wealth of options and amenities that make it easily customizable to suit your unique personality. Enjoy full power accessories, alloy pedals, push-button start, a leather-wrapped steering wheel with mounted controls/paddle shifters, leatherette-trimmed heated sport seats, and crank up the sublime sound system as you zip down the road in style. Among the best in the industry at retaining its value over the long haul, our Mini Cooper Coupe will impress you with its can-do demeanor. It has been carefully crafted with the finest materials and advanced safety features to keep you out of harm's way. Now is the time to join the charismatic club of Mini Owners and enjoy the status of this cultural icon. Print this page and call us Now... We Know You Will Enjoy Your Test Drive Towards Ownership! Get Approved In Minutes at Whitehead Motors. We Make Car Buying Easy. Message: Thought you might be interested in this 2013 MINI Cooper Coupe.